A Night To Remember Until The Day You Die! Hands down one of the movies that most scared me as a kid, One Dark Night is a twisted nocturnal ride through a setting that I believe still hasn’t been fully explored in the horror genre: a mausoleum! There’s a nice story behind this movie as well: it was filmed two years before it was actually released and that first version was nearly completed, one of the key differences being a wildly different soundtrack and mood. It never saw daylight – at least officially – until a recent double DVD edition included both versions of the movie, the first one being called Night In The Crypt and looking very rough. The experience of watching these takes together is a very curious one: the original was going to be a very dark and sinister experience with a soundtrack so brooding that was bound to depress even the most cheerful types. However, the take that got finished and was made public in 1983 was decidedly more “pop” with a bit more massive appeal, right in tune with most typical slashers of the era. This doesn’t mean the team behind the movie sold out though: One Dark Night is still a very haunting film and the remade soundtrack turned out being quite memorable (once you hear the intro tune, you won’t ever get it out of your head). 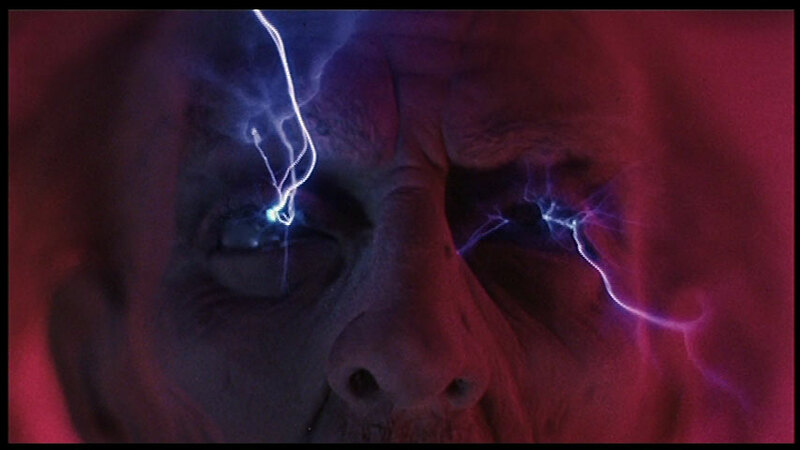 That said, the original take – also dubbed a Director’s Cut – was far more scary and had a more underground feel to it. The movie itself deals with poor Julie Wells – played by Meg Tilly, sister of the much better known Jennifer “Bride Of Chucky” Tilly – who ends up locked inside a mausoleum and falls victim to a cruel prank by your everyday annoying girlfriends. Truth to be told, Julie willingly accepts to spend a night inside this forsaken place to honor a “hazing” that her three friends request to admit her into their little private club. However, they return at midnight with the intention of scaring Julie out of their mind with spooky disguises and whatnot… Additionally, it turns out that earlier that day a world-famous psychic who went by the name of Raymar had passed away after a very bizarre experiment, which makes the news in the entire town. And yup, you’ve guessed it — he’s brought to the same mausoleum where Julie and Co. are staying. 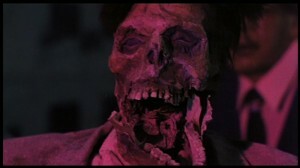 As expected, at one point in the movie he will come back from the dead and wreak havoc in the place. Thrown into the mix are Raymar’s daughter, who senses that something fishy is going on, and her annoying husband Adam West — oh, I meant her husband, the annoying Adam West. 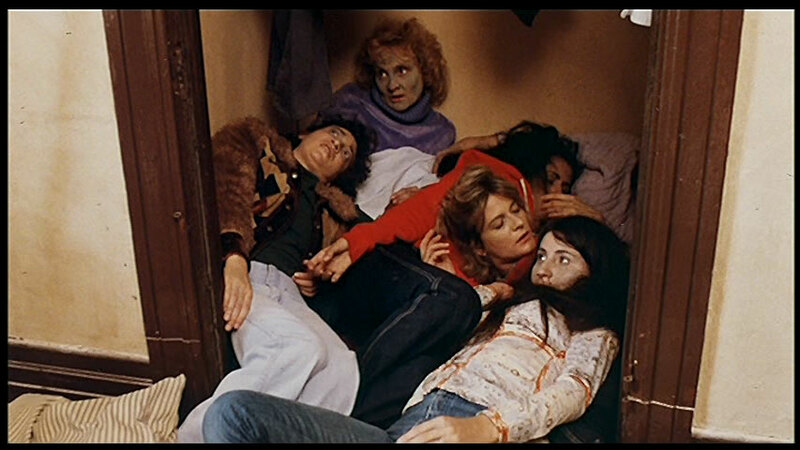 In reality, not much happens in the movie until the last half-an-hour, but this doesn’t mean it’s boring. On the contrary, there’s this strange particular atmosphere that permeates throughout the entire viewing and chills your bones. As I said, this is due in part to the memorable soundtrack but also the unique setting. You really happen to care for Julie and her predicament so you are most of the time on the edge of your seat. 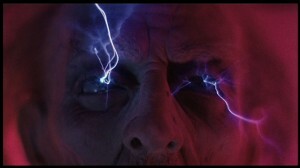 The directing by Tom McLoughlin really gets the job done in providing scary moments when little is happening. If that name rings a bell, that’s because he directed arguably one of the best Friday The 13th. installments, Jason Lives. 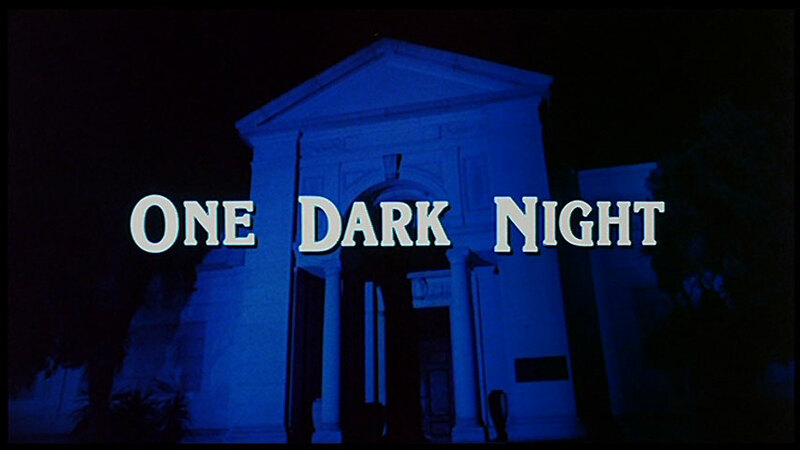 I mentioned that One Dark Night is one the scariest movies I saw as a kid, and that’s because for a long period of time I feared that I would wake up, transported somehow in the middle of the night, inside that blasted mausoleum – such an impression this film made on me. 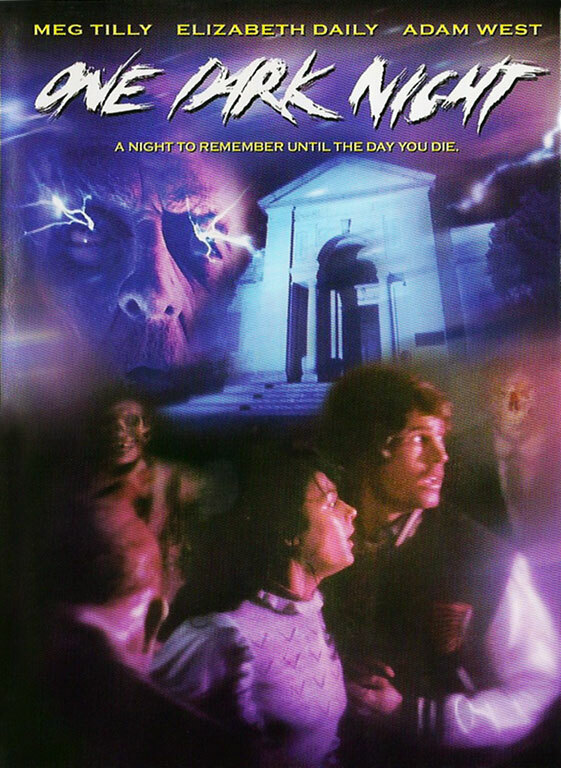 You owe to yourself to watch this because One Dark Night is definitely one of the most underrated and curious horror offerings the 80’s have left us. 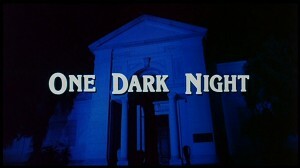 One Dark Night can be acquired from Media Blasters/Shriek Show.